Award winning Designer with over 20 years experience in bathroom and kitchen design. Working with an experienced and certified team of renovators with builders license and BSA insurance, who can provide all the experience and workmanship that you need to ensure that your project is completed to yours and my satisfaction. Dado South Africa was established in 1998 by Jacques and Madeleen van der Merwe. Jacques and Madeleen immigrated to Australia early in 2008 and then established Dado Australia in 2008. The warehouse is situated in the beautiful Gold Coast Hinterland. DADO currently specialises in solid surface basins in gloss and matte finishes. The care we have taken in the design and manufacturing of these stone basins guarantees your enjoyment of them for many years to come. 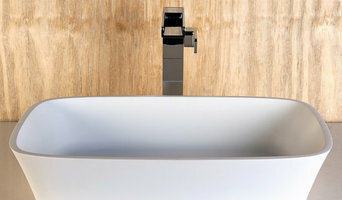 The DADO modern stone basins are designed in Australia by Jacques van der Merwe. Product information and maintenance sheet on the stone basins will be supplied with every basin. Dado distributes stone basins through several selected outlets, and online in Australia. The stone basins could be exported to other countries on request. Exclusive designer, manufacturer & supplier of quality, linear drainage solutions. At Intrend bathrooms and interiors we pride ourselves on quality and service, we are a small family business that have been servicing Brisbane and the Gold Coast for over 15 years. Over that time we have gathered the skill, the passion and service to become Gold Coast’s most professional, reliable and preferred renovator. We pride ourselves on providing quality customer service. If you are not completely happy with the end result, then we are not finished. Your home is one of your most important investment. Our company takes this very seriously. From the quote to completion, we want to make the experience as pleasant and rewarding as possible. Our 15 years of experience and emphasis on quality and satisfaction has gained us a lot of praise. This is why you should choose us for your next bathroom renovation. Unlock the beauty of your bathroom with a Skyview Bathrooms Renovation | Stunning bathroom renovations performed by licensed experts. If you’re looking for a beautiful bathroom renovation that provides you with a new level of leisure and comfort, Skyview Bathrooms are your bathroom renovation specialists. Offering boutique style customer service, excelling at building beautiful, durable and modern bathrooms. Hi as the founder of TAG Design Collective I have spent my life in design, and I found my passion is Bathroom Design. At TAG Design Collective I have formed a marriage of trades that draw on our years of experience in commercial construction that work to bring you your dream bathroom on time and on budget. Prestige Glass Tweed is a family-owned glazing business based in the Tweed Heads region of NSW. With over 30 years of experience in the industry, we specialise in supplying high quality Dias Integrity 9411 and Contour 2051 minimum framed 6mm, clear toughened glass shower screens. We also supply and fit mirrors and mirror wardrobe doors at competitive prices; in fact, because our overheads are lower than most other local glaziers, we can provide most services at very reasonable rates by saving the costs for you. glass shower screens tweed heads We can provide glass cut to size, table tops, shelves, almost anything you can think of to do with glass! We offer a full 24/7 service for emergency glass repairs, from broken windows to doors, and can also do insurance work. Here at Prestige Glass Tweed, we pride ourselves on our prompt and efficient service delivered at a great price and we offer a full one year guarantee on all products and services. At DM Builders, we offer more. From our expert advice to our professional team members, and our high quality product range, you get more when you choose DM Builders. Bring your ideas to us and we’ll help you develop the perfect addition to the value of your home. We have staff who can assist in designing something unique for your property. We love renovating and building. With that comes a passion and commitment to making existing homes bigger and better and looking after renovation development projects – all from start to finish. At Nupsace Homes, we put you first. And have done for over 15 years. Our team are extremely proud to be industry leaders and we constantly strive to be better. Nuspace Homes Gold Coast specialises in all types of construction and specialise in renovations like Kitchen, Laundry and Bathroom Renovations. Mark the leading director is a fully licensed Home Builder, Plumber and Gas fitter. 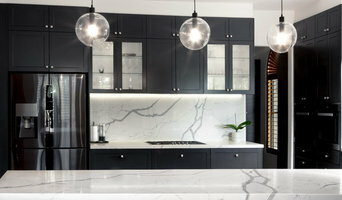 WE DESIGN, BUILD AND RENOVATE YOUR DREAM KITCHEN Every stage of the kitchen renovation process is meticulously supervised down to the tiniest details. All projects are managed in-house by an experienced team that ensures all aspects are being done according to our standards of quality – from design and production to installation. This provides for a worry-free kitchen renovation that needs minimal intervention from you. TRANSFORM YOUR BATHROOM IN JUST 10 DAYS! 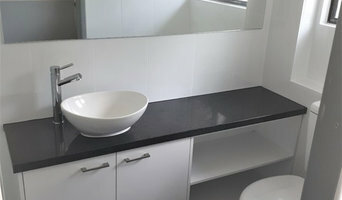 Nuspace Homes has over 16 years of experience completing thousands of Brisbane and Gold Coast bathroom renovations and is licensed to carry out every stage of your bathroom project. 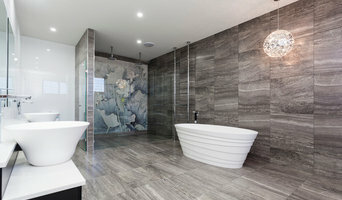 Some of our Gold Coast trades that make up completing a new bathroom renovations include: Plumbing – Tile Removal – Waterproofing – Asbestos Removal – Electrical – Carpentry – Tiling – Plastering – Painting Creative & Innovative Design, we believe the bathroom deserves as much attention as any other room in your home. With the right expertise and creativity, a bathroom renovation or design can be aesthetically dramatic, sophisticated, and most importantly, functional. LAUNDRY RENOVATORS GOLD COAST We have performed countless laundry renovations for Gold Coast homes that have left owners amazed at the transformation of this space and the new uses it now offers. What ever your needs, we have the staff and experience to help bring your dream laundry renovation to life. For more infomation visit our webiste at <a rel="nofollow" target="_blank" href="https://nuspacehomes.com.au/">https://nuspacehomes.com.au/</a> Or give us a call to arrange a Free onsite quotation 07 5551 9709 Servicing the Entire Gold Coast and South Brisbane. Revolutionary Hydro Seal Shower System. A Shower Screen in a box. With an eye for aesthetics and a practical approach to layout and design, Palm Beach, Queensland bathroom designers and renovators can help you create a well-planned space that suits both your needs and personal preferences. Many bathroom renovators in Palm Beach, Queensland offer a full-design service, from concept to completion. This includes accessing the homeowner’s wants and needs to ensure they provide a functional layout and design that is also attractive and blends in with the rest of the home. In addition, designers have a wealth of knowledge in product trends, materials and finishes, and can take the hassle out of deciding upon and sourcing accessories and hardware. Find a bathroom renovator on Houzz. 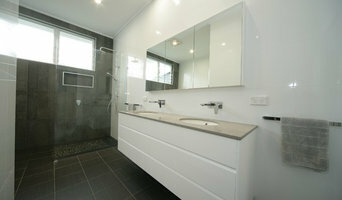 Scroll through this page to find the best bathroom renovators in Palm Beach, Queensland. Browse photos to see how their work compares to the scope of your project, read reviews to see how others rate their work, and message them directly to to ask any specific questions.